Beginning thirty years ago, breast screening has led to many more cancers being detected, with a quarter of these classified as ductal carcinoma in situ (DCIS). DCIS is a condition in which abnormal but non-invasive cells are found in the lining of the milk ducts. Because the cells are non-invasive, DCIS is not considered to be immediately life threatening. The challenge comes in deciding how best to treat the disease, with the evidence suggesting that if DCIS progresses, it does so in a time frame of 5 to 40 years but then only in 20% of cases. One of the challenges facing clinicians — and particularly the women who receive a diagnosis of DCIS — comes down to nomenclature. In 500 BC Hippocrates gave the disease a name: karkinos, the Greek word for “crab,” since the swollen blood vessels radiating from a breast tumour resemble the limbs of a crab. 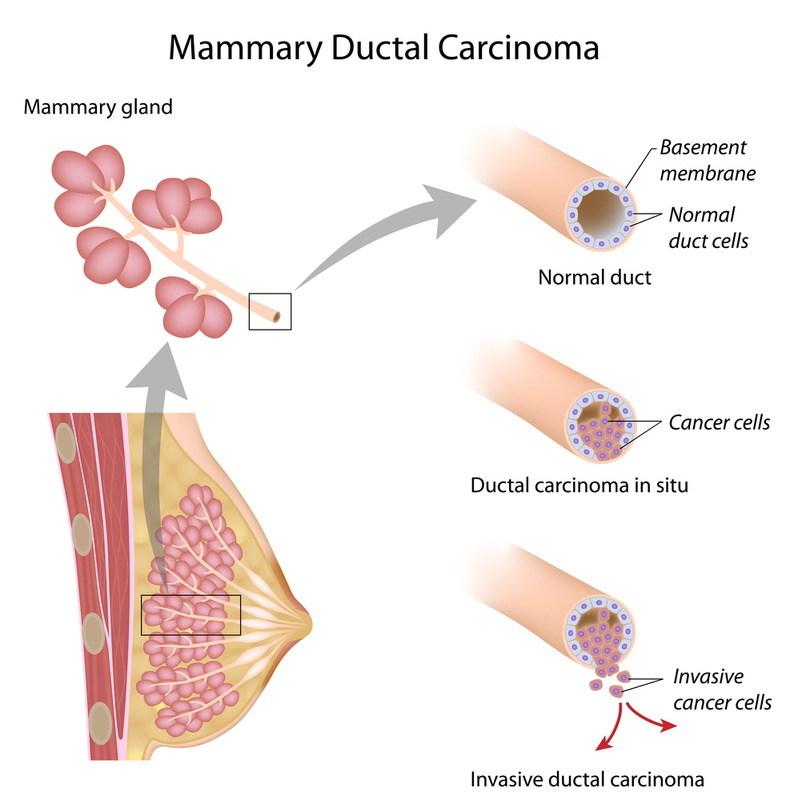 Because words such as “non-invasive cancer”, “carcinoma” and “stage-0 cancer” are often used to describe DCIS, patients may be more likely to elect aggressive treatment options — such as mastectomy or lumpectomy followed by radiation therapy — rather than a conservative option such as watchful waiting. In answering the question posed in the title, Melvin Silverstein of Newport Beach, California has concluded, “Every DCIS that is ‘cured’ is a potential cancer prevented.” Unfortunately, this means some DCIS lesions will be overdiagnosed and overtreated. So, the obvious question is how can the true nature of these errant cells to be determined before they do damage? Clearly current imaging approaches are unable to do so. You’re right, Michael, that current imaging techniques (X-ray, ultrasound, MRI and even molecular breast imaging) are unable to predict the sequelae of these abnormal cells. They key is for the pathologists who study tumour biology and the biopsied cells under a microscope to be able to differentiate cells that will become invasive from those that will not progress. That would appear to be where the challenge lies.